Pictured: Norman Smith, MA Audubon's Blue Hills Trailside Museum Sanctuary Director & Norman Smith Environmental Education Center at Chickatawbut Hill. 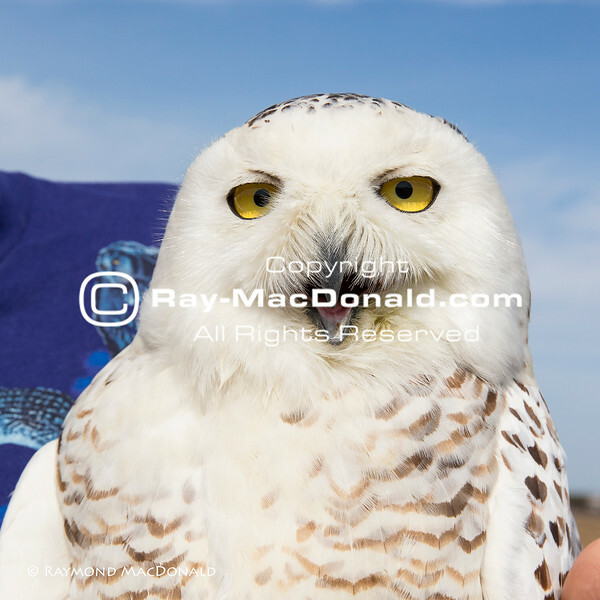 Norman is shown with a 3+ yr old adult female Snowy Owl nicknamed 'Merrimack'. She was trapped at and removed from Boston's Logan Airport on 3-7-16. She was then weighed, measured, logged and fitted with a solar-powered GPS/GSM device that was donated by Project Snowstorm. This GPS/GSM device records GPS locations and transmits them via a cell network. She was released on the tidal marsh bordering the Merrimack River in Salisbury, MA on 3-9-16. For more information see The Snowy Owl Project, and Project Snowstorm.